According to the U.S. Department of Education, dual enrollment is defined as "...students enroll in postsecondary coursework while also enrolled in high school..."or put another way, it is when high school students (usually juniors and seniors) earn college credits while enrolled in separate courses that are not part of their high school curriculum. This is known as concurrent enrollment. You may also see "early college" as a way to describe dual enrollment. Enrollment into college classes will be done in April when the college class schedules are finalized. Until that time, students will not have a list of courses from which to choose. When the colleges make their class schedules available, students will have an opportunity to meet with a college adviser at the high school during the school day to review and choose classes for the fall semester. Parents must approve the choice of classes for students under the age of 18. Typically, students are not enrolled in courses in their preferred major but rather in General Education electives which transfer more easily to other institutions. Dual Enrollment, Early College Academy (ECA) and Early Middle College (EMC) programs require an application and invitation. Regular Dual Enrollment does not require any application. All programs require the student to meet College Readiness standards as measured by specific assessments. The qualifying assessments and scores can be found here. Specifics of each program are explained below. When students are selecting courses for the following year, Dual Enrollment will be an elective option. Those students wishing to schedule Dual Enrollment simply select the Dual Enrollment option on the PowerSchool Schedule Survey. 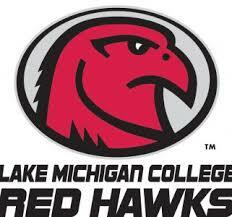 Students enroll in and attend classes at Lake Michigan College or Southwestern Michigan College. Buchanan High School pays all tuition and most fees for the cost of the program. Buchanan High School pays for all required books for all classes. Buchanan provides transportation to eh LMC Bertrand campus only on weekday mornings. Transportation to the SMC Niles campus is provided only on weekday afternoons. All other transportation is the responsibility of the student/family. 9 may not be in the subject matter of hobby-craft, recreation, physical education, theology, divinity, or religious education. A maximum of two college courses (6 contact hours) may be taken each semester. College courses may be taken during the school day, in the evening or on weekends. A student enrolled in one college course will be given two periods per day to attend the course, i.e. two periods of “Dual Enrollment” will be provided in the student’s schedule and the student is not expected to be in attendance at BHS in those hours. A student enrolled in two college courses will be given three periods per day to attend the course, i.e. three periods of “Dual Enrollment” will be provided in the student’s schedule and the student is not expected to be in attendance at BHS in those hours. The student can choose to apply the credit earned only to the college transcript OR to both the college and high school transcript. When college courses are applied to the high school transcript, students earn a full credit for each semester course and grades received are weighted. College courses may be used to satisfy MMC requirements with prior approval of the BHS Guidance Office and Principal. While most public universities in Michigan will accept dual enrollment credit for the purposes of transfer as part of the Michigan Transfer Agreement (MTA), it should be noted that not all colleges are part of that agreement and may accept these credits for transfer only on a case-by-case basis. The Michigan Transfer Network can be used to identify which credits from LMC and/or SMC transfer to other Michigan colleges and universities. Students must be accepted into the program following the interview process. Students whose applications are accepted are interviewed by a panel. This program is solely available at LMC. A maximum of 14 contact hours (generally 3-4 courses) may be taken each semester. Students will be given four high school periods per day to attend college courses. Students must be enrolled in one high school course, but are permitted to enroll in up to three. Students may attend LMC in the summer months at their own expense in order to complete an Associate’s degree while still in high school. Transportation is provided to the LMC Bertrand campus during weekday mornings only. Students can select Early College Academy when scheduling courses for the following year. 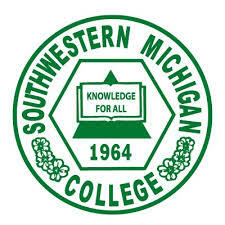 All information on the Berrien County Early/Middle College Program can be found here.